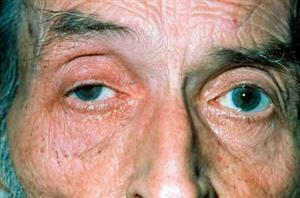 Presentations of eye disorders including adenoviral conjunctivitis, senile scleral translucency and pterygium. Conjunctivitis is a very common condition, seen on a daily basis in general practice. 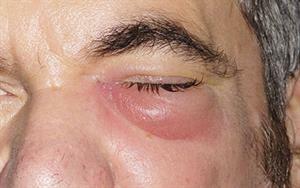 In the past, a sticky eye led to an almost automatic prescription for topical antibiotics. It has been shown in recent years that most of these cases are actually viral in origin, often associated with URTIs. It is usually an adenovirus that causes this, and it can take some weeks to resolve. Rarely, steroid drops are recommended by ophthalmologists to provide symptomatic relief. A chalazion is a cyst caused by blockage of the duct of a Meibomian gland, which produces the secretions that help to lubricate the eye. The duct can easily block, then the cyst forms.This can become infected, causing significant swelling and inflammation. 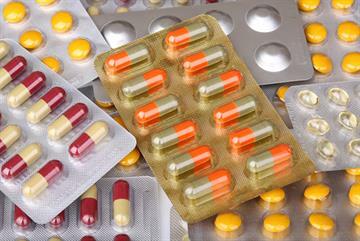 Topical antibiotics are usually used with warm compresses. 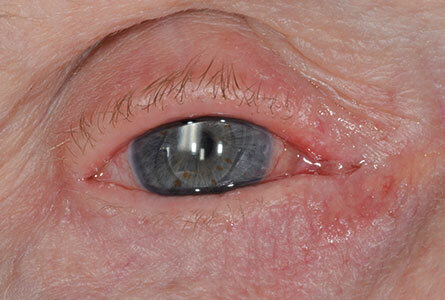 As patients age, it is not unusual for deterioration of subcutaneous connective tissue to lead to a loss of tone, with drooping of the lower eyelid. The sensitive inner surface is exposed and can become inflamed and uncomfortable. Repeated courses of antibiotics may be required and some patients need surgical intervention, a lateral tarsorrhaphy, to tighten the lids. This patient had the operation, which was successful. Another manifestation of the ageing eye, this is also known as senile scleral plaque, and produces this rather alarming appearance. They are normally seen just in front of the insertions of medial and lateral rectus muscles.The dark area is caused by increased translucency, revealing the underlying ciliary body. It is quite benign and does not require treatment, although it could potentially lead to problems if this area were to be selected for intravitreal injections for glaucoma. 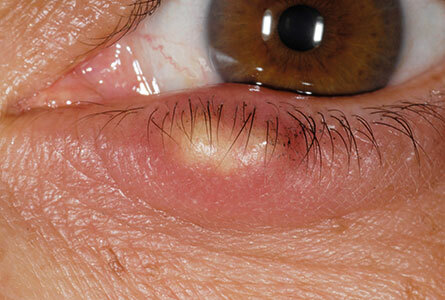 Many patients present with a sore, red eye. There may be a clear history of trauma, but not always. Careful examination is vital to assess the eye, including the simple procedure of everting the upper eyelid. 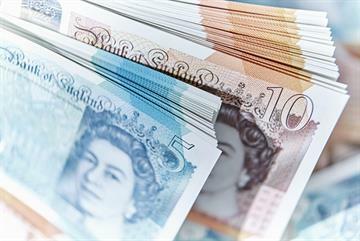 Many GPs and patients seem reluctant to do this, but a foreign body like this shows clearly and can then be easily removed, providing instant relief. 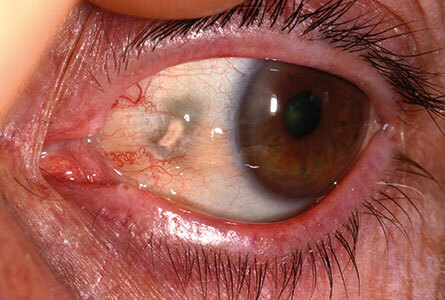 It is sensible to check the cornea for scratches with fluorescein as well. 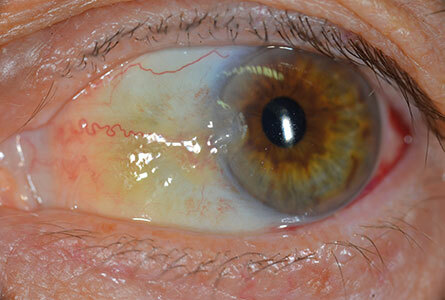 This man presented with a sore, red, itchy eye following a cataract operation. It is not uncommon for patients to have problems with eyedrops, which contain additives and preservatives. Usually, stopping the drops settles the eye down. If treatment is required, preservative-free preparations may be needed. 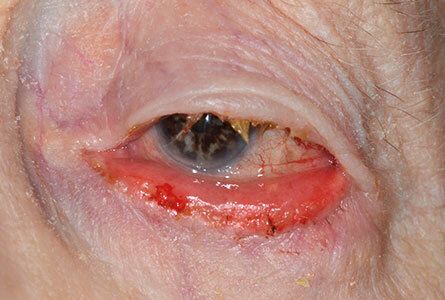 This 39-year-old woman presented with a large lesion on the inside of her eyelid. 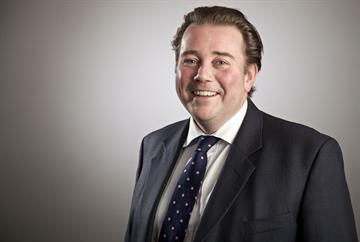 Not surprisingly, it had been causing considerable discomfort and irritation. 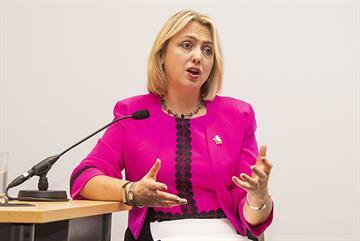 She was referred for excision, which confirmed its benign nature. 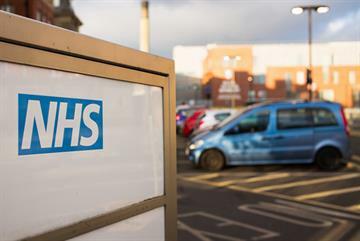 No further action was required in this case, although up to 20% of these lesions may recur, especially if not fully excised at the first procedure. They are common in adults, but may also occur in children and adolescents, and can also be treated by cryotherapy. This is a fairly common problem seen in general practice. There appears to be growth of a membrane-like structure over the front of the eye. It can occur bilaterally and more commonly on the nasal aspect. It requires no treatment, unless the growth starts to be sufficiently extensive as to encroach on the vision. In these situations, the only option is surgery to remove the growing tissue. This condition may often be confused with another common condition, a pingueculum, which may be present in a similar position on the eye, but does not grow onto the cornea and hence requires no treatment.